(Newser) – Owen "O-Dog" Hanson played on the same championship-winning USC football team as future NFL stars Reggie Bush and Matt Leinart, but he would ultimately take a very different career path. 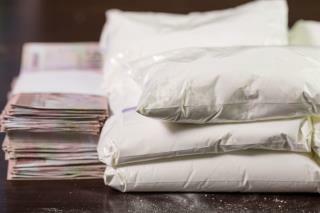 The 35-year-old California man was sentenced to more than 21 years in prison Friday after pleading guilty to racketeering and conspiracy to distribute drugs, reports the Washington Post. His fall from grace is a wild tale: While at USC in 2004, Hanson began selling drugs, including cocaine and steroids, Rolling Stone previously reported. After college, he started working as a bookie in Los Angeles. Years later, his wife would tell a former boyfriend, professional gambler RJ Cipriani, that Hanson wanted to put up millions of dollars to fund his efforts at casinos in Australia, per 9 News. The money was to be returned with a casino check, though Cipriani could keep any winnings. Wow, a guy from that USC team became a drug king? Who would have thought, I figured having a guy that glorified the lifestyle (snoop dog) on the sidelines would prevent something like this from happening. Just another thug who would have taken a knee during the national anthem, if he was in the NFL now. Wasn't much good for the two guys in the video.